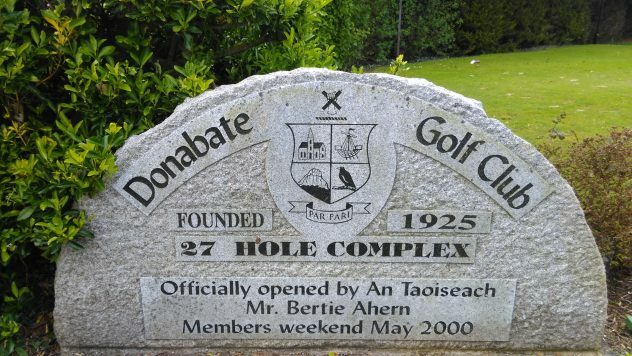 Donabate Golf Club was founded in 1925 and moved to its present location four years later. Donabate Golf Club is now a 27 hole mature parkland course in North County Dublin just 12 minutes from Dublin Airport (for directions click here...), that offers varying challenges on each nine created by a combination of water hazards, undulating greens and mature trees (for more details about the course click here...). All of the greens are sand based which makes them playable all year round. Donabate is the home club of Ireland's most renowned and respected lady golfers. Mary McKenna MBE is indeed a legend in her own time. Mary has achieved just about everything there is in amateur golf, she captained the victorious Irish Ladies to a fantastic win in the Home Internationals in 2003. Before that in her own playing career Mary played on 9 Curtis Cup Teams and won 8 Irish Ladies titles, to list just a few. It would not be inappropriate to compare Mary's contribution to Ladies Golf as J. B. Carr's contribution to the Men's game. If you want to contact us, just click here for further details.